This entry was posted on Sunday, February 27th, 2011 at 21:30 PM. 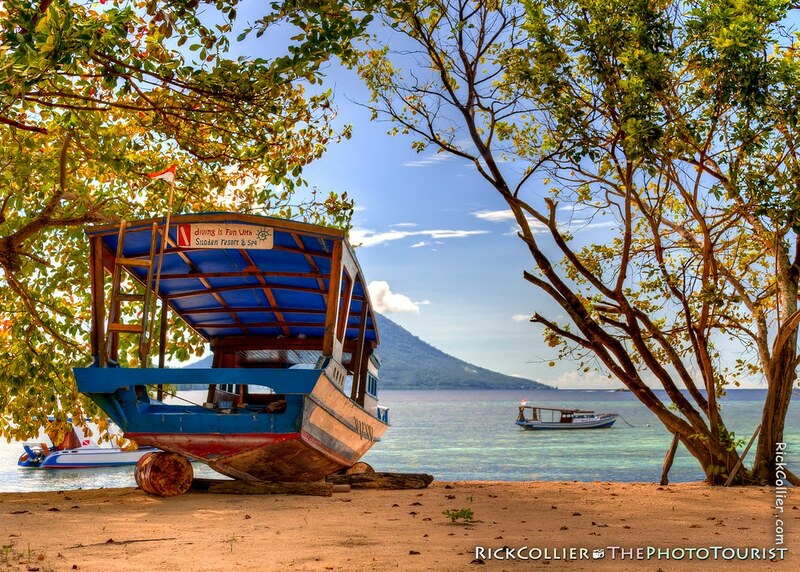 It is filed under Land & Air, thePhotoTourist and tagged with beach, boat, Bunaken, Bunaken National Park, Bunaken Park, dive, dive boat, diving, diving is fun, evening, fun, Indonesia, island, Manado, Manado Tua, North Sulawesi, ocean, resort, sand, sea, sea grape, Siladen, Siladen Island, Siladen Resort, Siladen Resort and Spa, Sulawesi, sunset, tree, trees, view. You can follow any responses to this entry through the RSS 2.0 feed. Diving is way too much fun with Divemaster Rick! Love this pic.